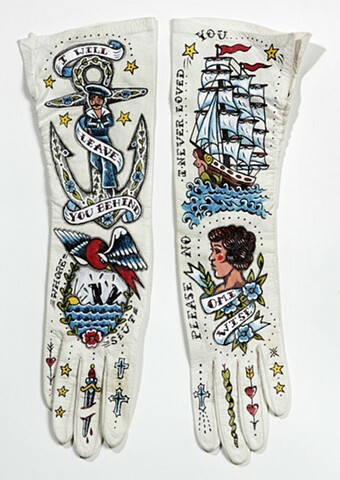 "Our Gay Boys Miss Placed"
This series of work is titled “Ballad of the Tattooed Lady” and was originally shown as a solo show in Chicago 2011 at Firecat Gallery. 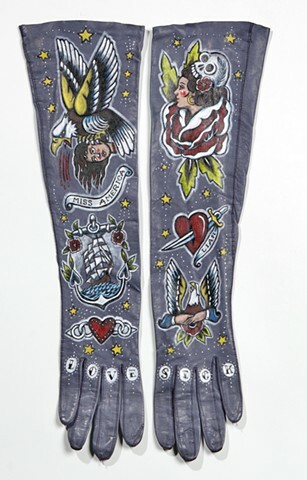 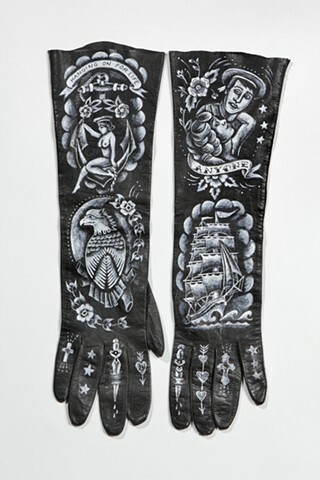 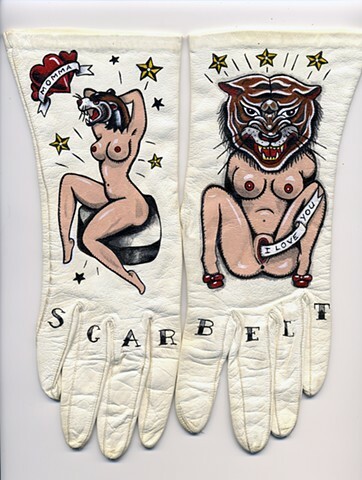 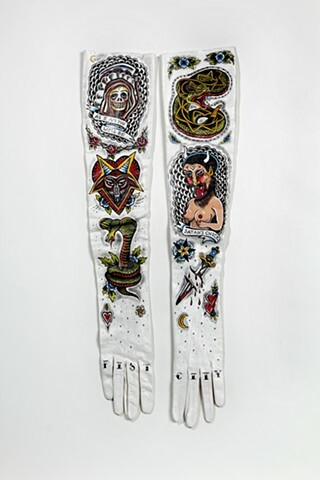 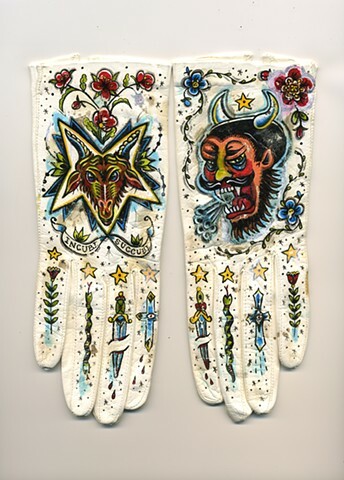 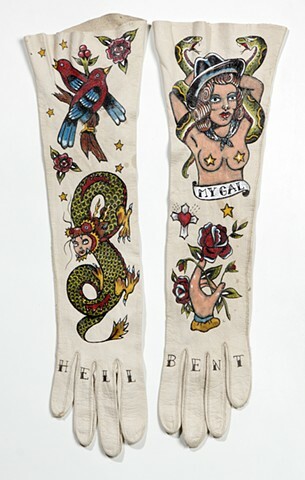 This is literally a body of work, where each pair of gloves becomes a metaphor for a feminine body and each is decorated with unique tattoo narrative. 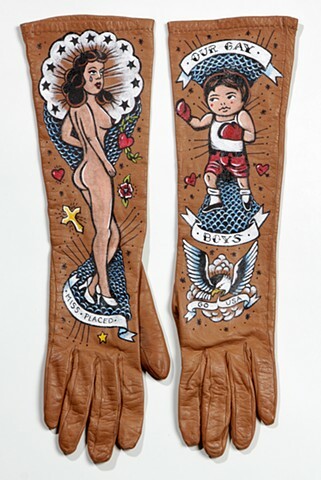 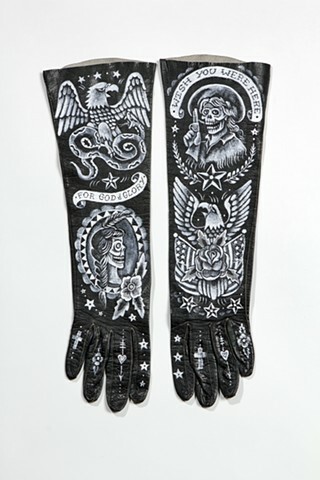 I enjoy how the gloves and tattoos contrast each other in their cultural connotations. 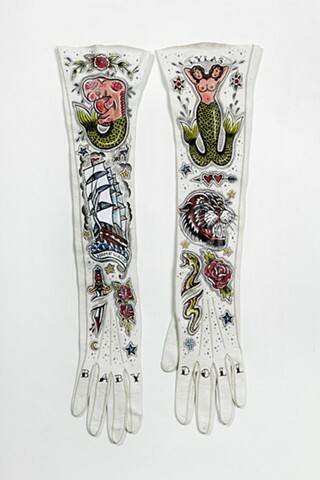 Ladies gloves being a high form of privilege fashion while tattoos historically has been a rough, low class and masculine form of bodily expression. 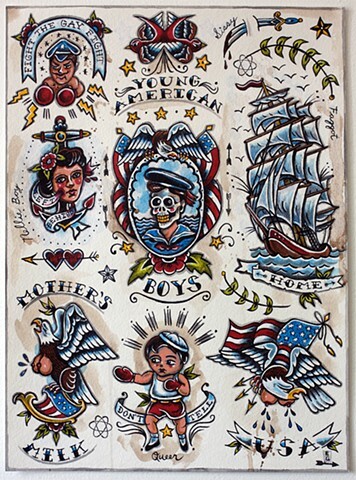 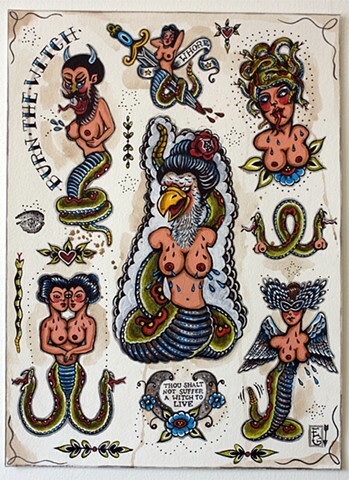 This tension calls into question the cultural constructs of masculine and feminine bodies and how images in the tattoo vocabulary enforce those forms.